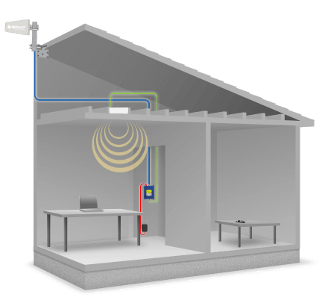 We offer cellular signal improvement systems for any sized building large or small - Home, Office, Large Commercial Buildings. We also carry all components required for your system including cable, connectors, antennas, mounts, splitters, and lightning surge protectors. If you travel in areas where your cell signal is weak, we have the perfect solution. When you're on the road you need to stay in touch and productive. That's why we offer mobile booster systems for any vehicle. We can help you improve the cell signal for Machine To Machine (M2M) cellular devices like Hot Spots (MiFi, Jetpack), USB Adapters or Cellular Routers. 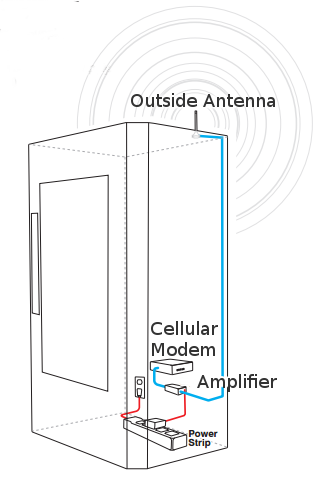 A better cell signal can mean faster data speeds for your M2M applications such as Internet access, vending machines, ATMs, remote monitoring systems, remote cameras, etc. We can supply the right cellular antenna and other components for your wireless signal improvement system. We carry mobile antennas for cars, trucks, RVs, boats and buildings. We also carry coaxial cables, cable connectors, antenna mounts, signal splitters, attenuators, combiners and lightning surge protectors. "Just wanted to say THANKS!! The antenna system you provided gave me a 28 dBm improvement in signal strength, and now my family finally has a superior connection to the internet in our home via our ATT broadband modem and your antenna. Signed, DS (one very happy customer)." We can improve the cellular signal inside your car, truck, home or office. We can assist you in getting a better signal for fewer dropped or missed cell phone calls. We can help you boost the cell signal to your cellular Internet device for faster 3G and 4G Internet speeds. We deliver powerful and efficient weBoost and Wilson Electronics signal booster systems. We also offer a complete line of cellular system components. Components like cell phone antennas, coax cable, connectors, surge protectors, splitters, taps, attenuators, and mounts. We offer products from weBoost, SureCall, Wilson Electronics, Laird, Larsen, Panorama, Alfa, and others. All to help keep you in touch, secure and productive. We are experts at improving cellular signals to 3G and 4G Internet devices. Devices like cell phones, HotSpots, MiFi's, USB Adapters, cellular modems, and routers. We offer a wide variety of signal improvement options. 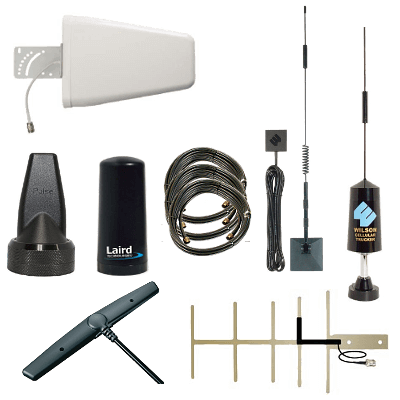 From inexpensive external wireless antennas to building and mobile cellular repeater systems. We have systems for vehicles including cars, trucks, RVs, tractors and boats. We also offer more robust large commerical building cellular repeater systems. We can help improve your cell signal in buildings large and small. Any size - A single room, workshop, home, office, warehouse or multi-story building.